Cool lighting effect on the board. The bios seems pretty intuitive, though I've had some (very) intermittent issues with setting reverting between reboots. Lovely looking color and carbon fiber is nice. Performance and overclocking is easy and understandable. Awesome board. Looks great. Build quality is good. The only thing that I could complain about is the MSI Gaming App used to control the LED. Not the best. Very easy instructions for install. Mystic Lights are pretty good (lots of color options). BiOS is easy to use and navigate. All pins and PCIE connections are sturdy so shouldn't have any issues with stuff breaking. A nice tidy MB that has everything I need. I feel the M2 slot will come in handy down the line for further storage. The bios are easy to navigate and the RGB colour configurations are good fun using the MSI Gaming App. Pretty dope mobo but still haven't figure out how to change the led light. This board going on sale for 139 with a free Bluetooth/Wifi card is what got this whole process started. This board looks great and has all the bells and whistles I wanted. Lighting looks great. Solid motherboard. 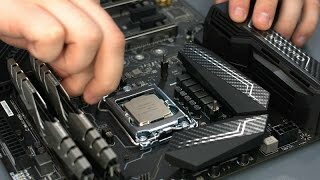 A little bit expensive if there's no additional discount or rebate given Z270 is just marginally improved over Z170.